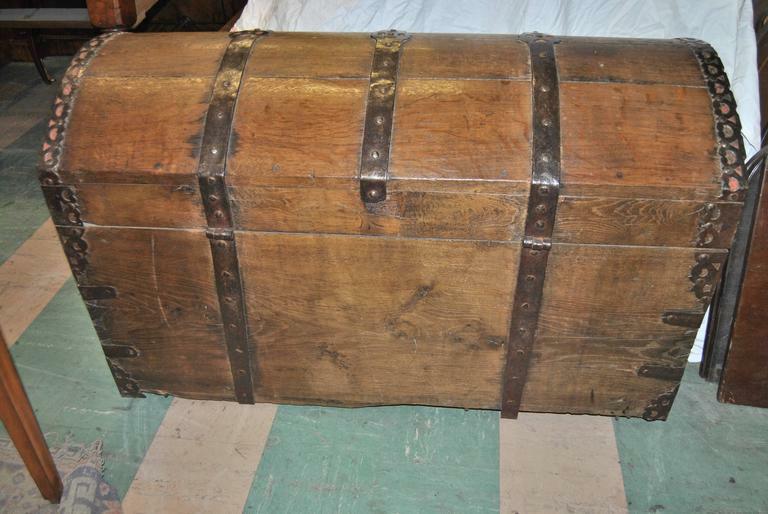 This is a Sea chest made in England, circa 1700. 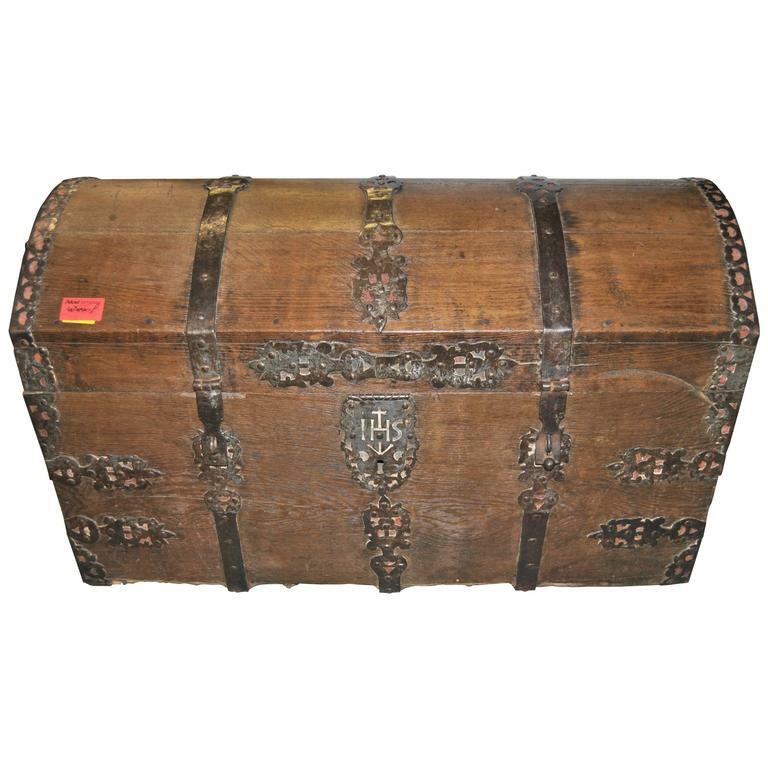 It is made of solid oak with hand-forged iron work throughout the entire chest. The beauty and quality of the iron work is amazing and as good as it can get. 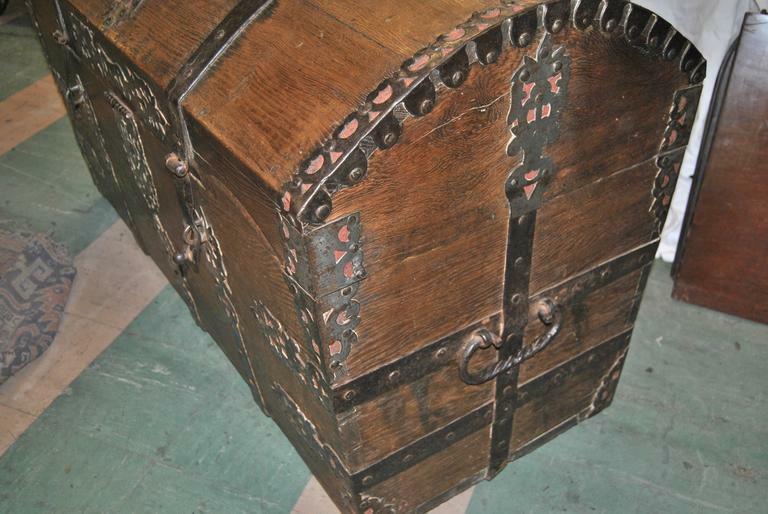 The chest is finished on the back so it is able to be put in the middle of a room if that is desired. 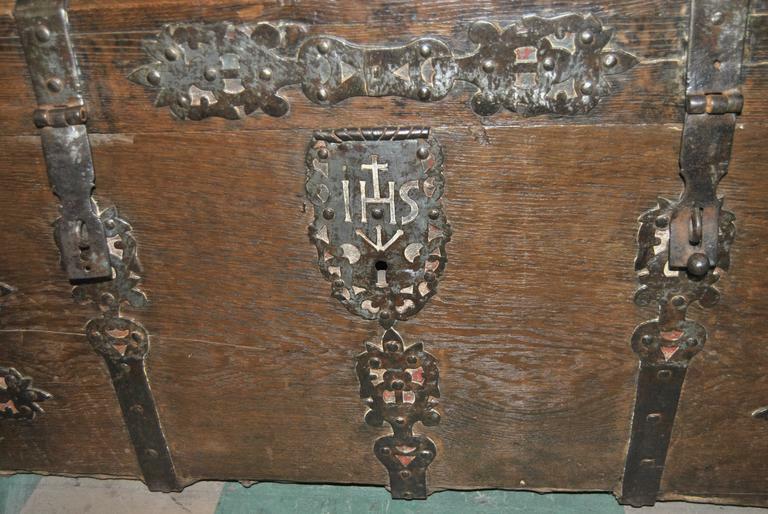 In the front middle there is an iron medallion with the initials IHS (In His Service). The finish and overall condition is fantastic. 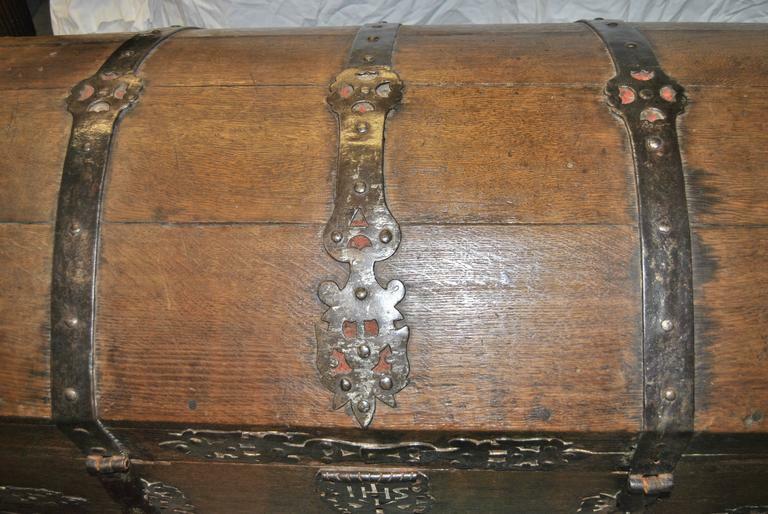 This is an outstanding example of a great 300 year old English chest of this type. 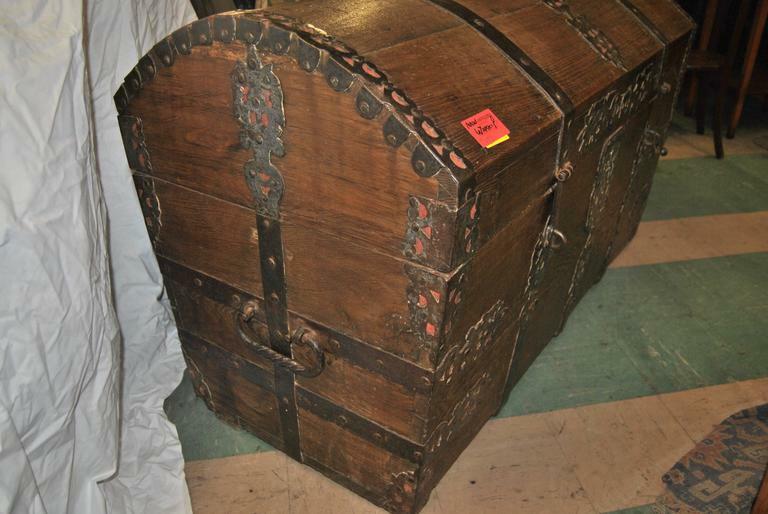 It measures 44 in. wide x 22 in. deep x 28 in. tall. 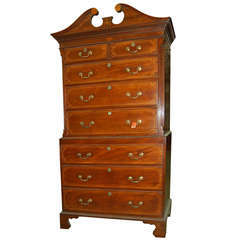 This is in fantastic physical condition and in finish. 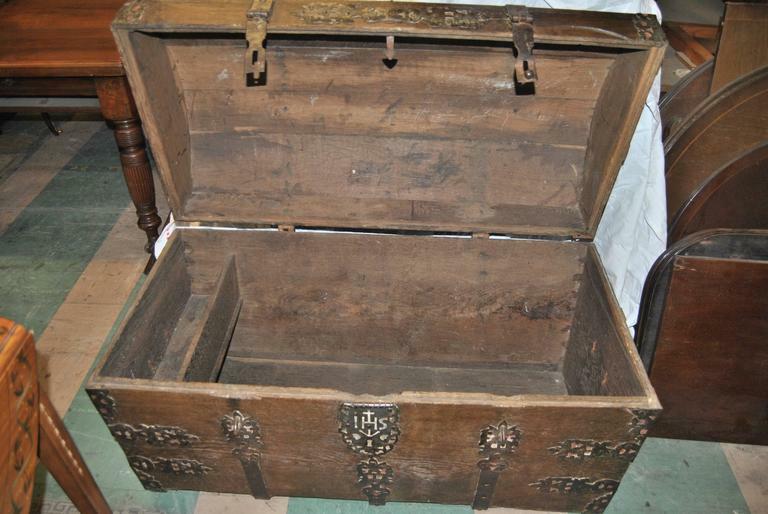 Late 17th century bleached carved oak coffer, 1690. 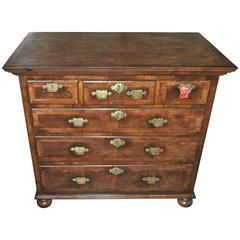 Dimensions: 44 inches (112 cms) wide 18.5 inches (47 cms) deep 20.5 inches (52 cms) high.